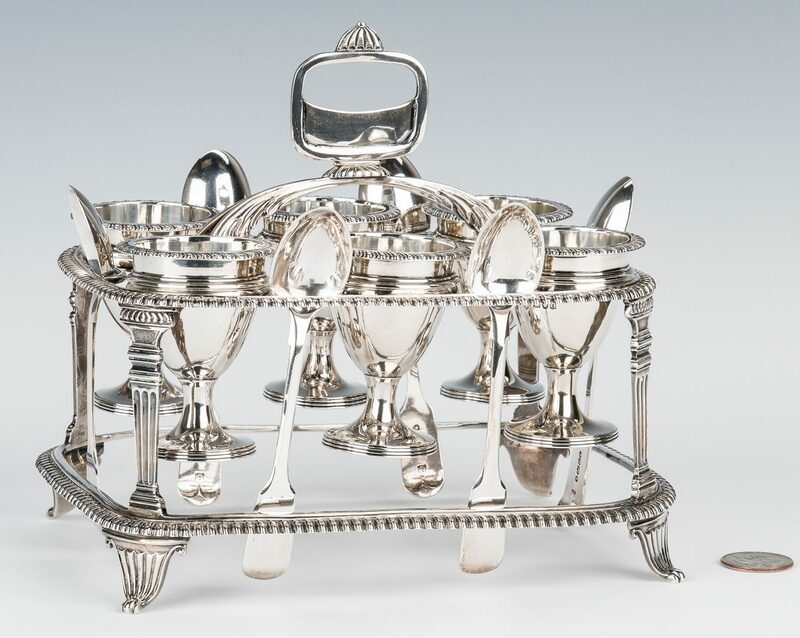 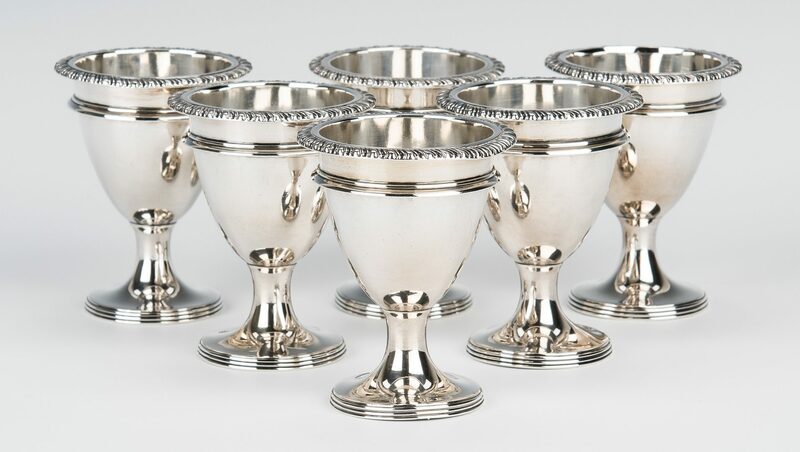 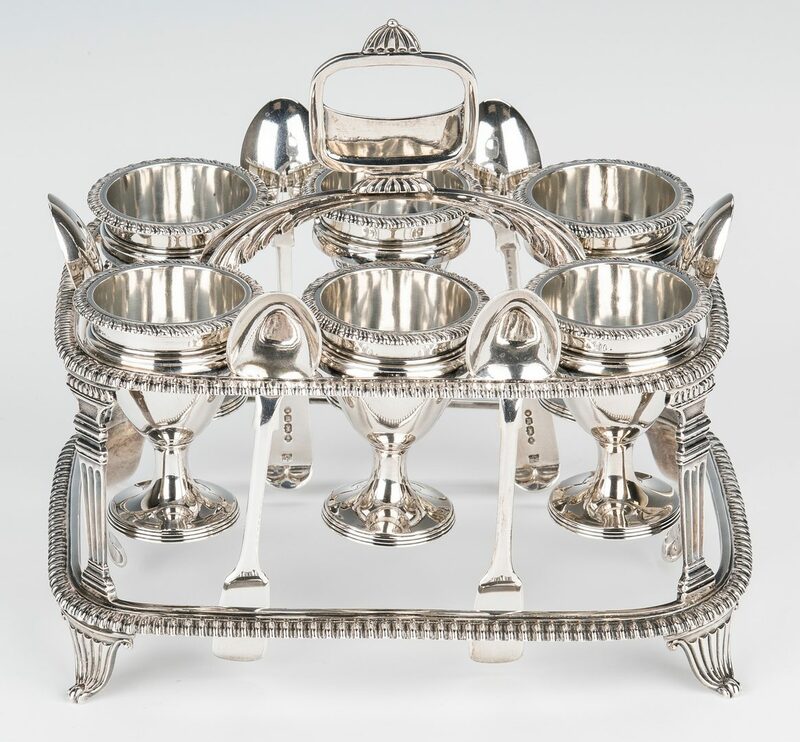 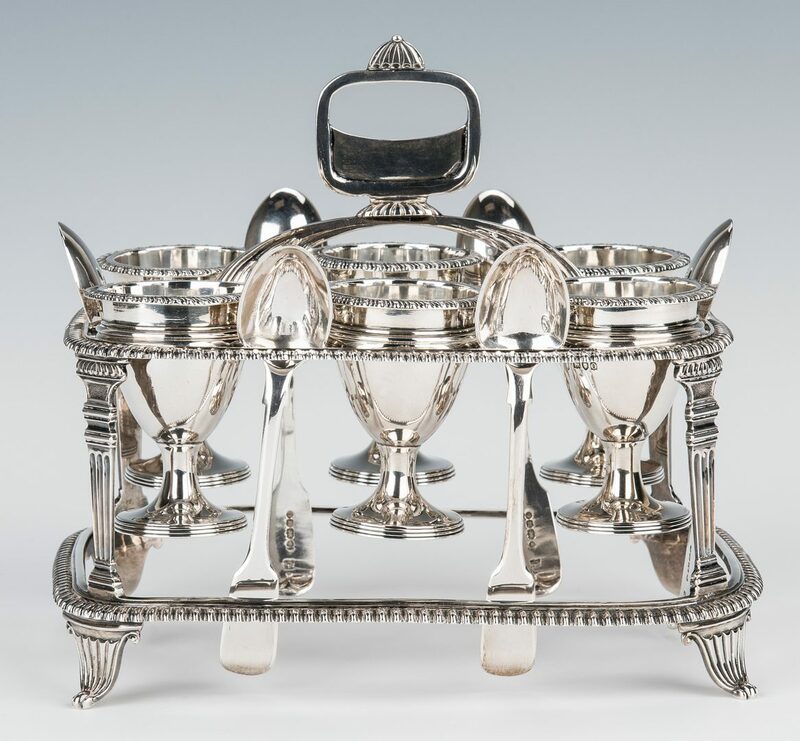 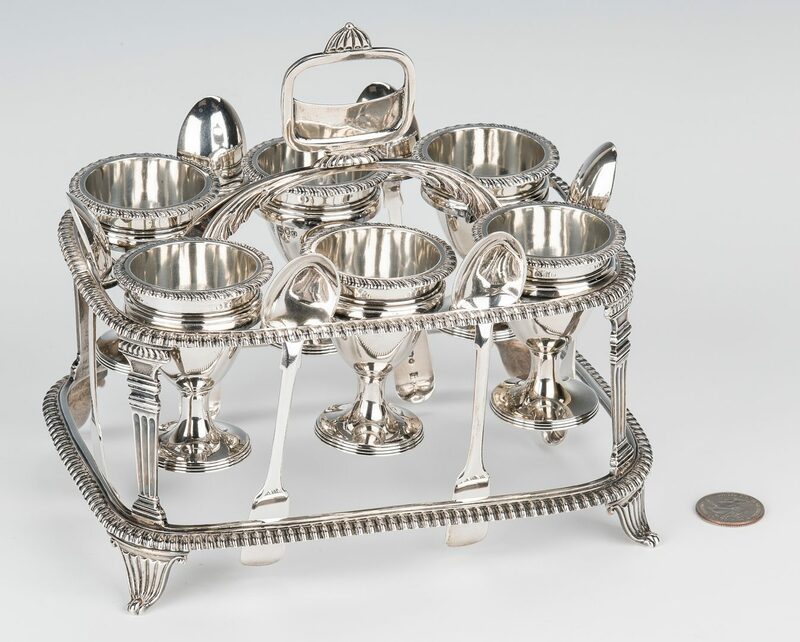 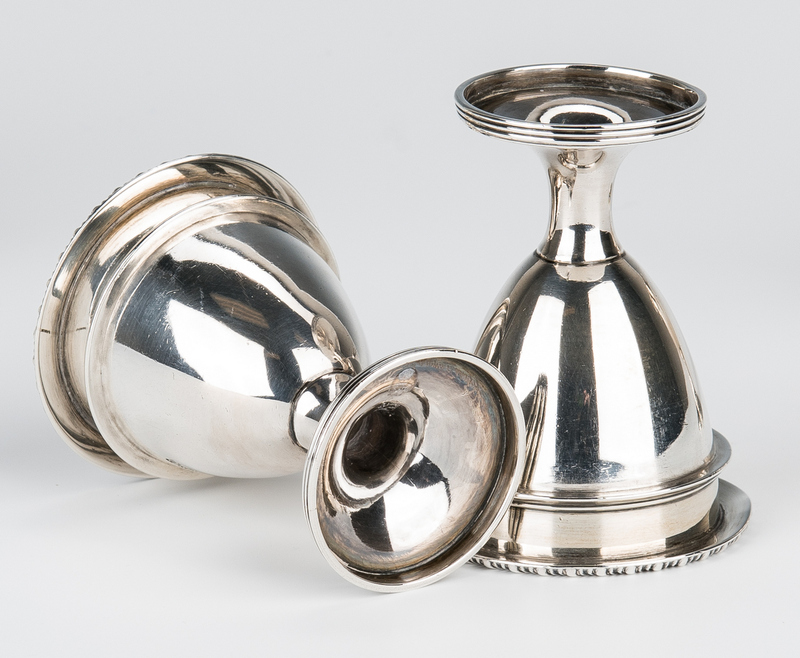 Edwardian Sterling silver egg cruet, oblong openwork frame with gadrooned edges and corner supports in the form of Greek columns, oblong loop handle with scrolled bridge, and six footed egg cups. 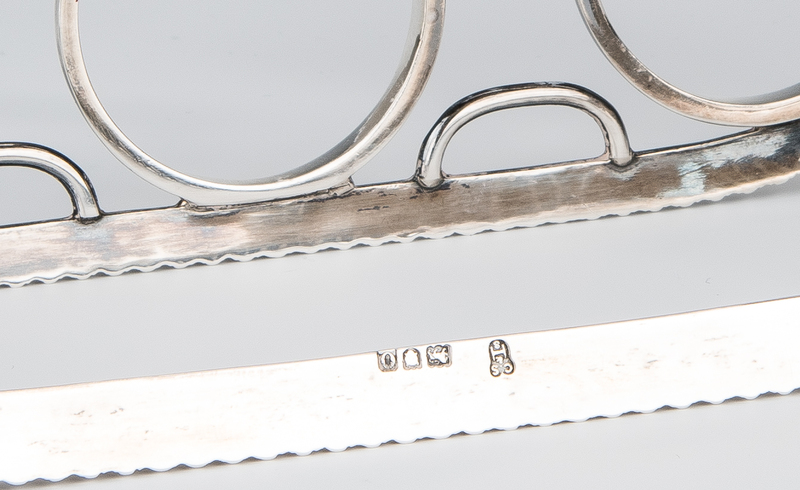 All stamped with hallmarks for C.S. 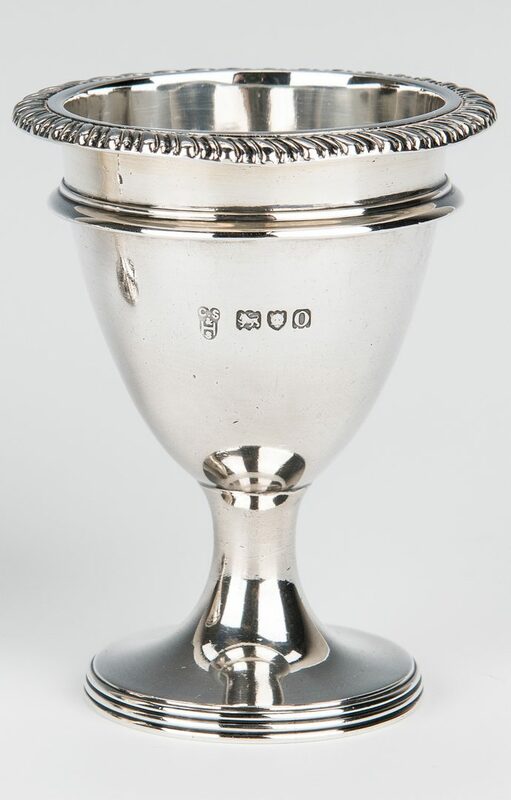 Harris and Sons, London, 1909. 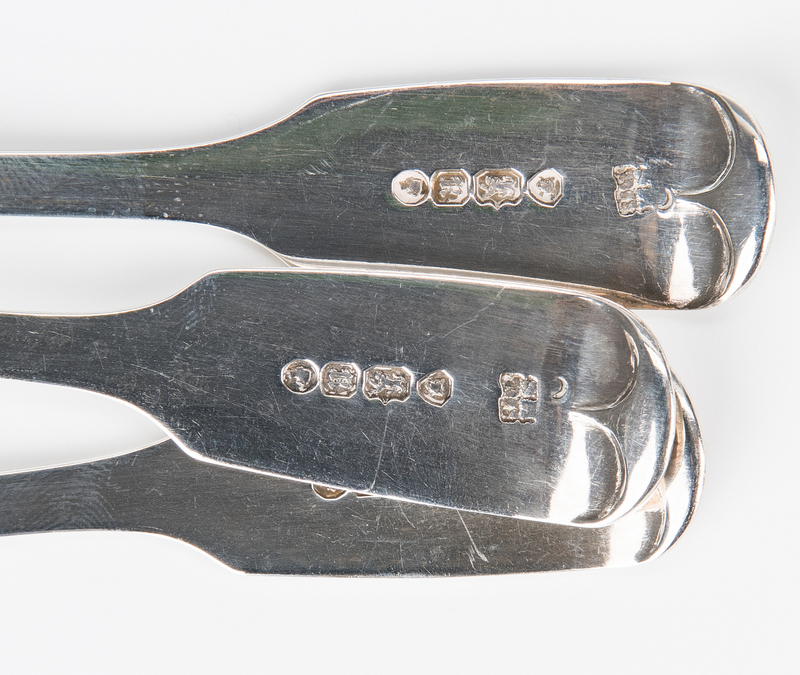 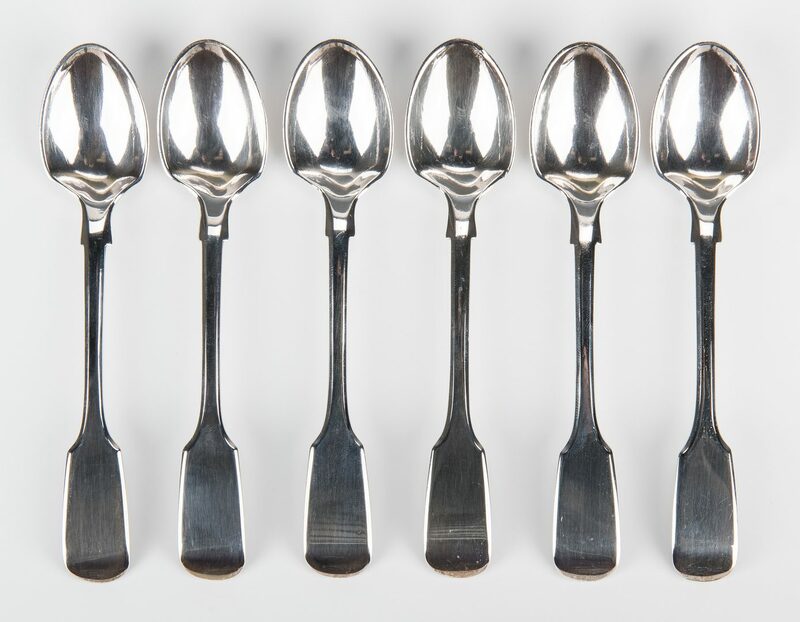 Also included are six sterling egg spoons with plain fiddle handles, maker's mark "SH & C", London, Sterling, 1952. 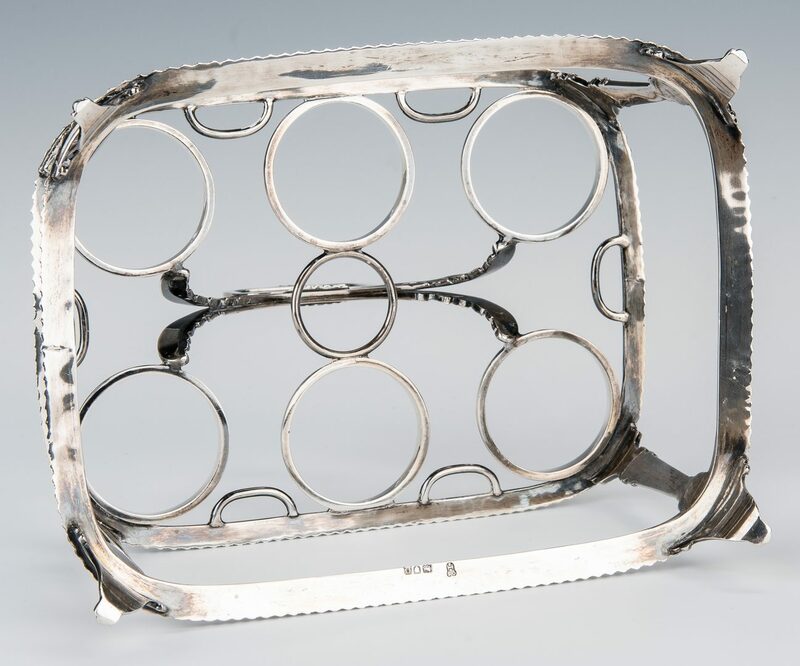 7" H x 8" W x 6" D. Combined weight: 29.93 oz troy. 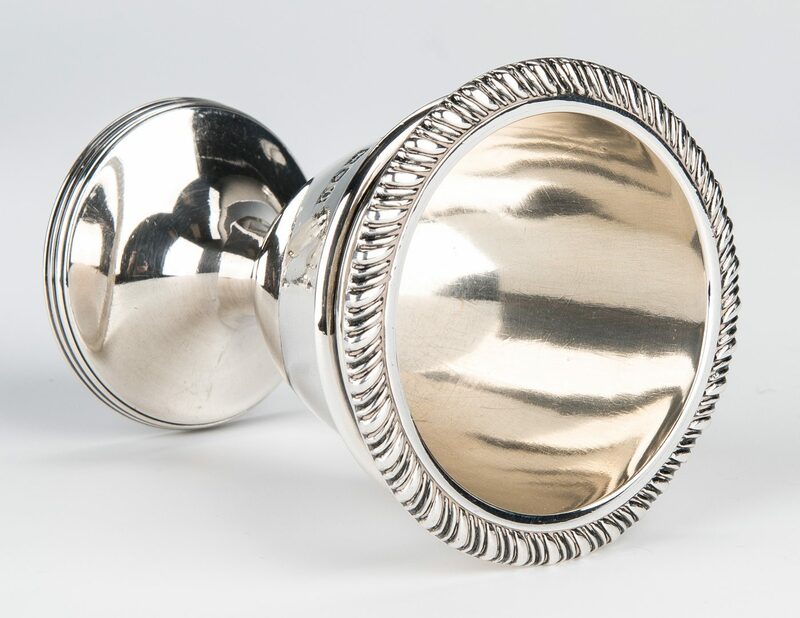 CONDITION: Excellent condition.